Let’s say you’re starting your campaign. How do you decide which spot to launch? What’s the importance of spots when you happen to be buying traffic? Do you adapt your media buying strategy to each spot? So many questions but guess what: Details matter! In this world, they’re very important. They can make a huge difference, setting winners and losers apart. That’s why you need to read this article! This is where I’ll tell you all about the most common mobile ad formats around! I’ll walk you through their main characteristics and I’ll allow you to understand how you should adapt your media buying activity so as to boost your margins in style. In order to turn your media buying campaigns into profitable endeavors, you need to know the advantages and disadvantages of each spot and act accordingly! In the fast-moving world of online advertising, there are new advanced formats appearing every day. Make sure you know all the trends in the industry! That means you’ll see a bunch of changes in spots from ad network to ad network. Some of them – such as PopAds or PopCash – work exclusively with one spot. As for Revcontent, Taboola or MGID, they’re focused on the Native format. On the other hand, there are many other ad networks where you can find different spots to buy mobile traffic. For instance, ExoClick allows you to explore a whole bunch of banner sizes, in-video, instant message, popunders, redirects, and even native. 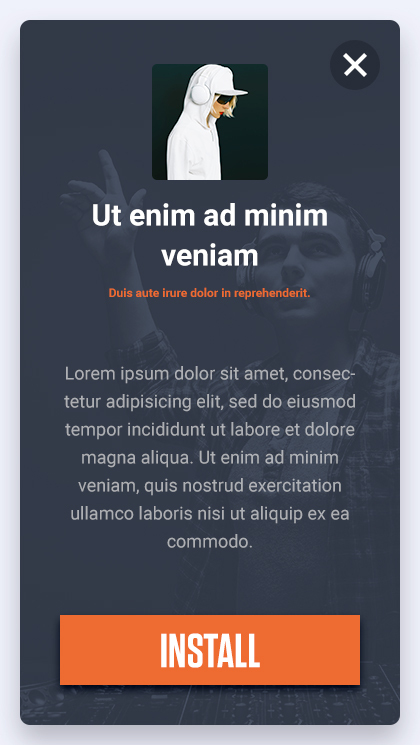 In fact, you can choose from display banners, interstitials, popunders, and popups for mobile. If you know the characteristics of each spot before you start working, you’ll be able to better adapt your activity (bids, banner content and capping). Once you do that, you’ll have a better performance right from the beginning. You should understand how your campaign will work online and how visitors will interact with your ads. You can also manage in which positions you’ll promote your ads, how many times you want your ad to appear and – most importantly – how your ads will be displayed. Remember that you can and should adapt both the content and the language of your creatives! I’ve picked the next spots from a huge list of many others, listed on several ad networks. Because I reckon they cover a wide range of possibilities since they happen to be the most popular mobile spots. The next definitions are based entirely on my own personal experience. Popunder is a type of window which appears behind the browser of the website that the user has just visited. A popup is almost the opposite of a popunder, since it pops up in front of the window. The popunder is less intrusive than the popup. That’s the reason why you can find popunders on many different ad networks! What’s the main advantage of pop traffic? One of them has to do with volumes! The flow, which is super simple! 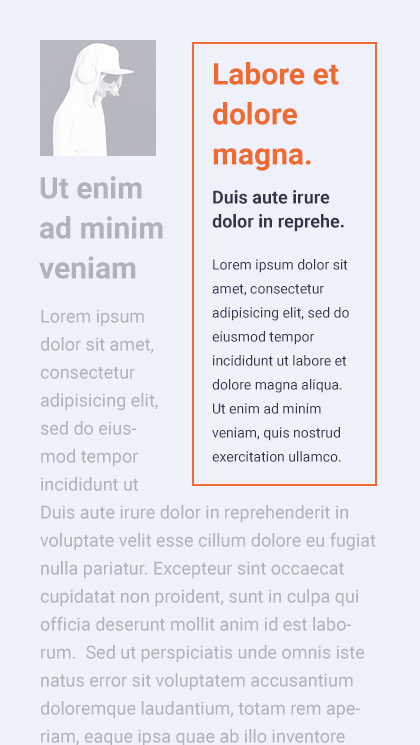 Your landing page appears right away on the pop as opposed to the banners, where the user needs to click the banner in order for the landing page to appear. Seems so easy, doesn’t it? Are there any cons at all? Remember when I told you that the flow was super smooth? It really is and that’s why everybody wants a piece of the action! That means the competition is sky high, which obviously affects the cost of traffic. The fact that there is a high probability that the users actually close the window before the offers appear. You should adjust your capping volume. Moreover, take the minimum bid of the country where you’re promoting into account. Because it’ll allow you to control both your volumes and costs. Bear in mind that the popunder traffic performs much better with pre-landers which means you need to perform a thorough research and check some ad spy tools such as AdPlexity so as to be able to create the most appealing pre-landers. What are the best offers to promote with pop traffic? You should go for dating, sweepstakes, coupons, and vouchers! This is an ad format that you’ve gotta be careful with! Because redirections are very expensive since they have a direct flow. Users get to a page and will be automatically redirected to the offer. This flow is expensive because it guarantees that users get to actually see the offers. Even so, the performance can be disappointing. Users can easily close the window and ignore the new page. Want to boost your results like a super affiliate and become able to write a success story of your own? Text campaigns or keywords aren’t available on all ad networks. They usually have good results but the competition is very high. You need to have a good CTR banner content and go for words which are both appealing and creative. These ads appear when users type the “keywords” that you had selected for your campaign. An amazing example of keyword targeting? Try to check the world of Google Ads! You can get to promote offers which require a very detailed targeting of your audience. Weight loss and beauty offers are good to go since you’ll be able to target middle-aged women with an above average income, for instance. Generally, this spot doesn’t have huge volumes. Even so, it tends to have enough traffic to test new segments/offers. 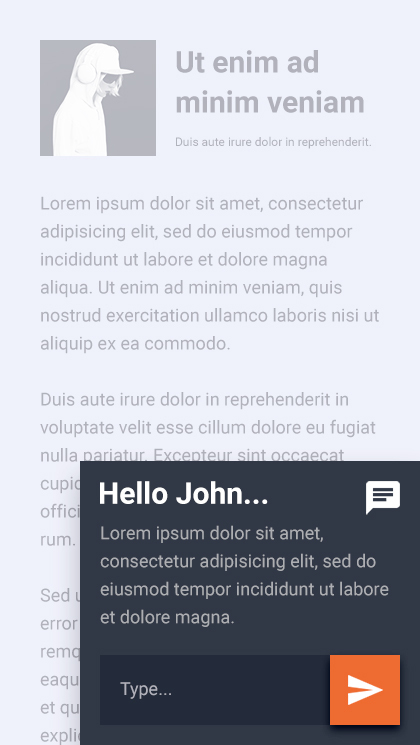 It will appear as a new conversation window, representing a conversation at the bottom right of the page. Normally, the format of the instant message is 300 x 100. This spot has enough traffic to test new segments or new offers. Here, you can apply test banners or the ones which resemble the instant message on WhatsApp or any other messaging app. You must check the restrictions of each ad network separately. Both dating and live cam offers will work. Is there someone out there who doesn’t enjoy getting a special message from a beautiful gal? This is a tricky spot for users. 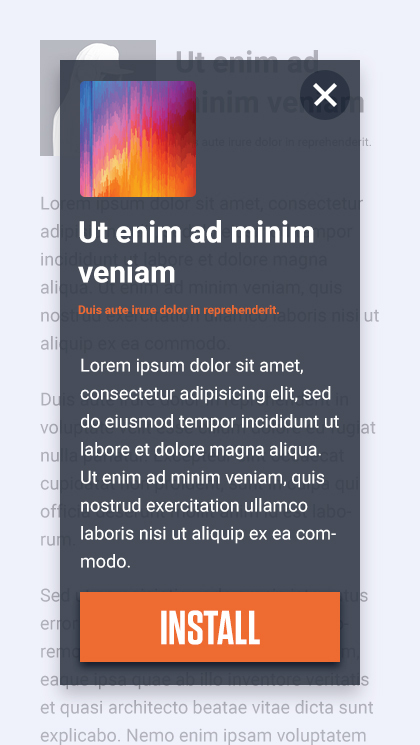 You can use images or text banners here. When will the in-video appear, though? People love videos and are always watching them. That’s why in-video ads is now a super important ad format. If you want to compare the mid-roll to the pre-roll and post-roll ads, you should know that the mid-roll has a higher completion rate. Why? Because a viewer who’s watched half of the video is more likely to end up watching the whole thing. Pre-roll videos offer you guaranteed ads views since customers are interested and want to watch the whole video. What are the most popular offers you should go for to promote in the in-video format? It depends on the websites on which you’re promoting! I’d go for video, music, antivirus and utilities when it comes to mainstream. If you’re all about adult videos, explore this format on adult websites. A push notification is a short alert message with an icon which appears on the user’s mobile device. One of the main advantages of a push notification is the fact that it’s got high viewability since the message shows up on the user’s phone. Push notifications are sent to users who have allowed it, which will allow you to experience a boost in performance. You don’t want users to get annoyed, right? Enter your ad network and check the number of notifications you can send each day. What to promote on push notifications? E-Commerce, sweepstakes, coupons, gambling, and mobile apps would be a nice choice! What else do you need to know about push notifications? In a limited space, you need to be able to get the attention and convince users that you’re offering exactly what they’re looking for! Are you looking for push notifications ad networks? Take a look at Propeller Ads. Interstitial ads are full screen ads which cover the actual page’s content. In general, an interstitial ad has a link to skip the advertisement and a countdown of the time before the ad closes. 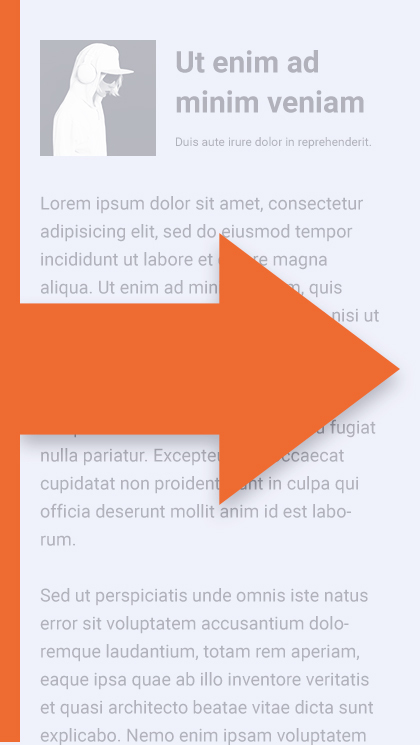 If users want to close an ad, they’ll keep on viewing the original page. If a visitor clicks your advertisement, a new window containing the offer you’re promoting will appear. Interstitial is a popular format for videos. 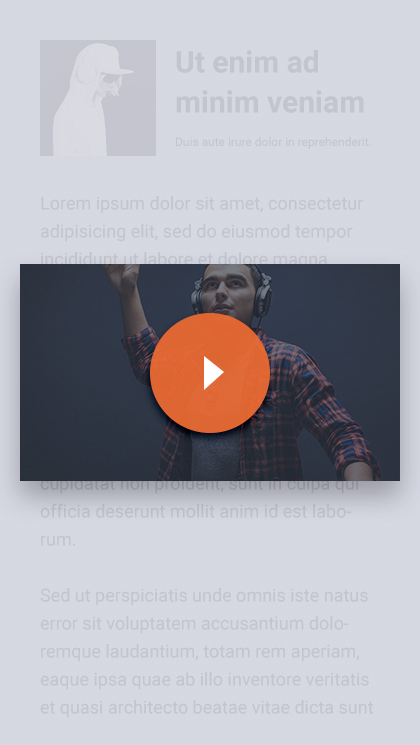 When you click a video to watch it – before reaching the video page – an interstitial page appears (normally, per every two videos you want to watch). Try to promote images which are similar to each website in order to make your ads more appealing. It’s important that your interstitials are relevant to the website. If they aren’t, you’ll get low click levels and poor engagement. 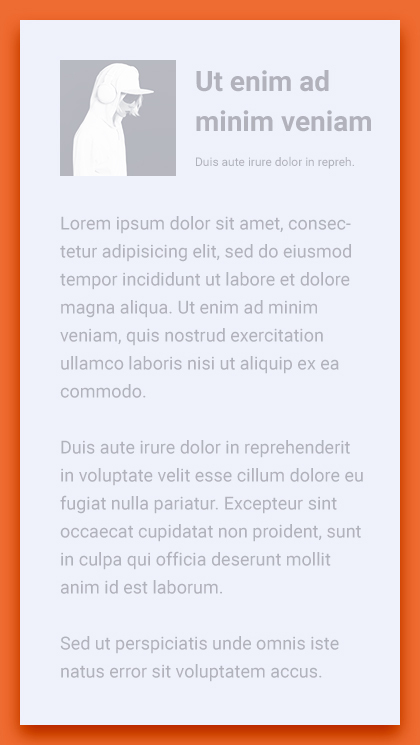 One of the coolest things about the interstitial is its high-visibility. In addition, interstitial ads have a big visual impact, which makes them ideal for brand promotion and games which require advanced creatives. A user who finds an article useful may choose to close an ad in order to keep on reading the article! Native is a type of advertising that matches the content of the website and appears to be part of it. You can see native ads in various types of websites, such as sports, technology, streaming, entertainment, so you can select the offers to promote accordingly. Users prefer native ads because they’re non-intrusive when it comes to the way they show the advertisement. That’s the reason why native ads tend even to perform better than banners. Among the main advantages of native ads, I’ll mention the fact that you can get big volumes of traffic, that native ads are a non-invasive ad format, and that native allows to get high engagement rates. The main disadvantages of native ads? The super high level of competition, the hefty initial budget, and the many restrictions from big traffic sources. Are there any native ad networks you should explore? Go ahead and check Revcontent, Taboola, Outbrain, and MGID. Attention: You should know that the exact formats of native ads vary according to each ad network. Social media advertising definitely deserves to be defined as a specific type of advertising. Facebook, Twitter, YouTube, Instagram, Snapchat, and Pinterest represent big opportunities for promotion and allow you to make that hot money. What are the format you can explore when it comes to social media advertising? 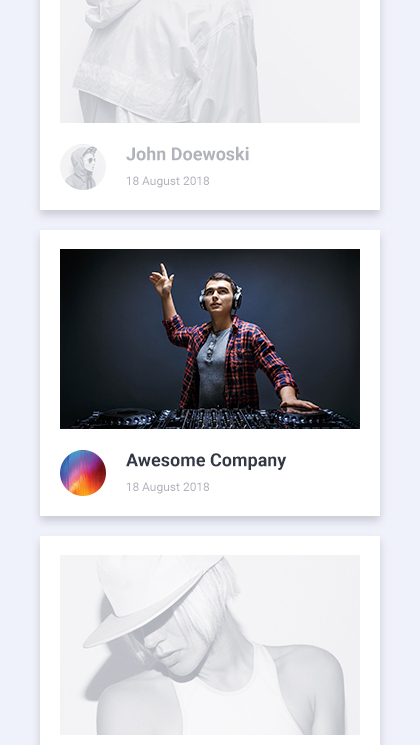 On Facebook – for example – you can go for Images, Video, Carousel (several images in an ad), a Slideshow (ads that resemble a video with sound and text). Another important aspect about social media? It’s got strict policies regarding advertisements! This means you’ll have to check the restrictions and select the offers you’ll promote according to the rules of each social network. On each ad network you can find a variety of mobile banner ads. 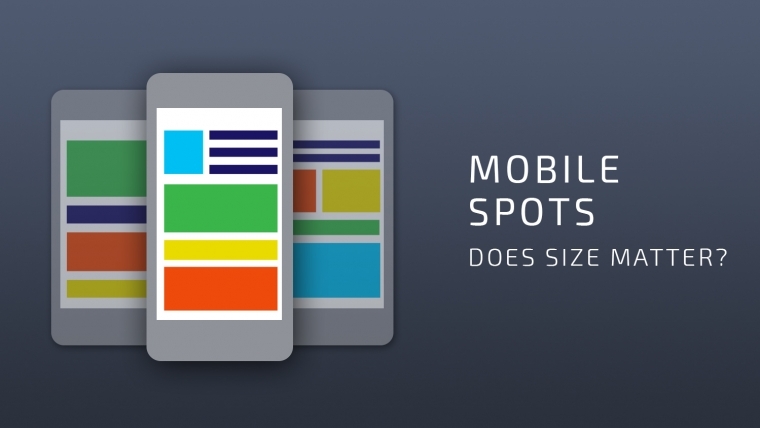 But what are the most popular banner ad sizes around? This is one of the most competitive spots. In fact, almost all media buyers start by picking this spot since it’s the one that’s got more traffic. Indeed, almost all websites have it. It’s hard to conquer those competitive good positions here, though! You’ll need to be very precise when it comes to your targeting since a small mistake can actually make you lose loads of money. What if you’re able to create a perfect targeting? You should get more traffic and make it rain! Normally, this spot appears at the middle or bottom (when you scroll down the list of videos) and at the bottom (multiple times) and Next-To-Video on websites that don’t have a mobile version. Be careful when you start exploring this banner ad size! Moreover, don’t forget that you must always be original! Set your spot apart from all others and be sure of your targeting before going all in! This is the second biggest spot. It’s a staple of almost all websites, and it’s normally found on top of the page. The spot is the same, although the pixels may vary between 300×100 and 305×99. Don’t know whether you should go for 300×250 or 300×100? I recommend you start with 300×100! Then, as soon as you get enough info, you can create a 300 x 250 campaign, since the level of competition is higher! 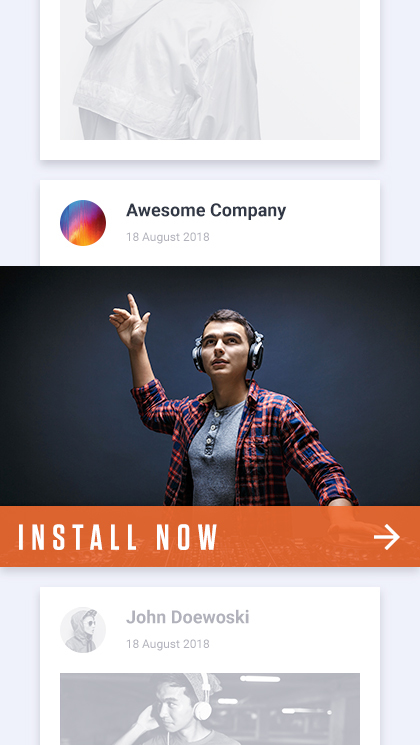 These banners appear on websites that don’t have a mobile version, which means they adapt to the screen size. These spots have good volumes and are usually consistent. Once you get good results in safer spots and have identified the most precise targeting, they’ll become an effective way for you to get to increase traffic! 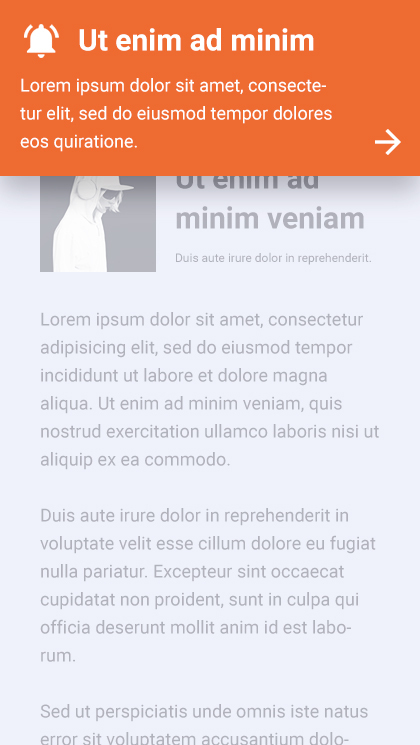 Here, you’ll be able to explore image or text banners. Most of the times, you can find these spots on top of websites. It’s not a premium spot but you can use it to increase your traffic. It’s a mobile spot and fits in smaller places. 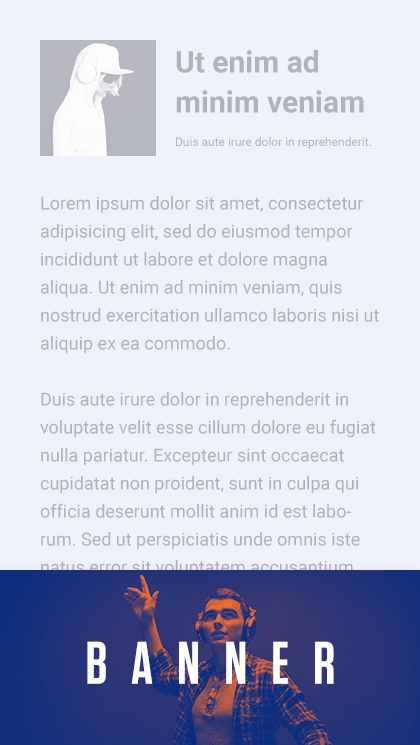 You can usually find some 250×250 aligned on the top or bottom of the pages. This is a non-mobile spot. It’s got a big size on the left and right sides of the page and it generally uses a combination of images and text content. There usually is a call-to-action promoting the offers’ content. The last three spots are the safest ones. They’re perfect for you to test GEOs where you’ve got good volumes and expensive traffic. What are the best offers for banner traffic? Go for mobile content offers, gaming offers, or adult video offers! You need to work hard on banners so as to make sure your game appeals to users! Summing it up, banner traffic tends to have a good quality, but you need to be sure not to screw it up with poor creatives! When it comes to my own experience and results, I think this next graph is gonna provide you a clear image of these spots. 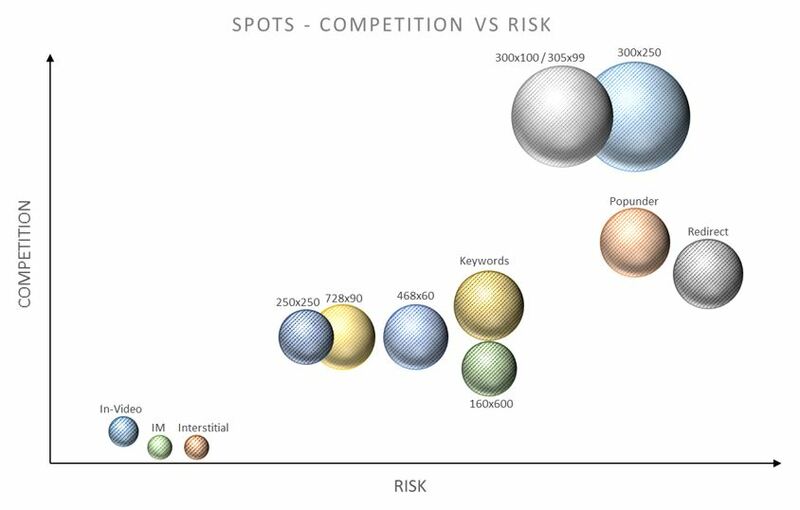 I categorize them according to their risk and competition volumes. The size of each bubble refers to the volumes and sizes of the ad formats. Let’s see how to apply these spots when you need to launch a campaign! Avoid the most competitive spots like 300×250 and 300×100. If the traffic is cheap you can go to medium spots to get some traffic but to avoid the maximum competition when you don’t fully understand the feature’s behavior. If the traffic is expensive, try to get safer spots first. Launch an In-video, IM or Interstitial spot to get some volume. Optimize your traffic and test the offer(s). Delete features with lower performances before advancing to bigger spots. When the traffic is cheap you can go to the most competitive spots in order to get data. You should also go to competitive spots in countries where you won’t find big volumes. You can launch a campaign with any spot. With low volumes, you should take the most competitive spots. Not in this situation, though. If the traffic is expensive you should reconsider and first launch spots such as In-video, IM or Interstitial in order to test both the country and the offers. Feel like you already know everything about formats? I still need to give you some professional advice! Don’t be afraid to test new ad formats. Potential profit is waiting for you! Choosing a spot is an important decision. You don’t have to be afraid of testing different formats, though. You can and should go for it! You just need to understand how to manage and treat each country and each segment according to the spot. First, you always need to get data in order to analyze and to optimize your target. Afterwards, you can go further and dive into more competitive spots so as to get all the traffic you can possibly get and therefore increase your margins. Remember: Some types of offers will perform well on the specific ad formats and poorly on the others. Don’t give up on the ad format completely, just test new types of offers! Your Account Manager is your friend! They’ll help you figure out what’s the best deal for you! I hope this article gave you an idea of how you should approach some countries. Ready to make it rain like it’s insane?